fig. 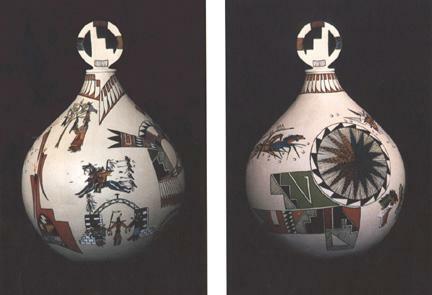 21: Two Nations Vase, front and back, 1996. By Jean Bad Mocassin. Polychrome; 16.5x11.25" dia. Collection of the artist. Photograph by Stanley Szewczyk.